It seems I get my grocery ads in the Washington Post supplement on Fridays now so I don’t get them before the sale starts. If you got your ad it is interesting this week because they have a new promotion at Shoppers to get you in the store on Wednesdays. 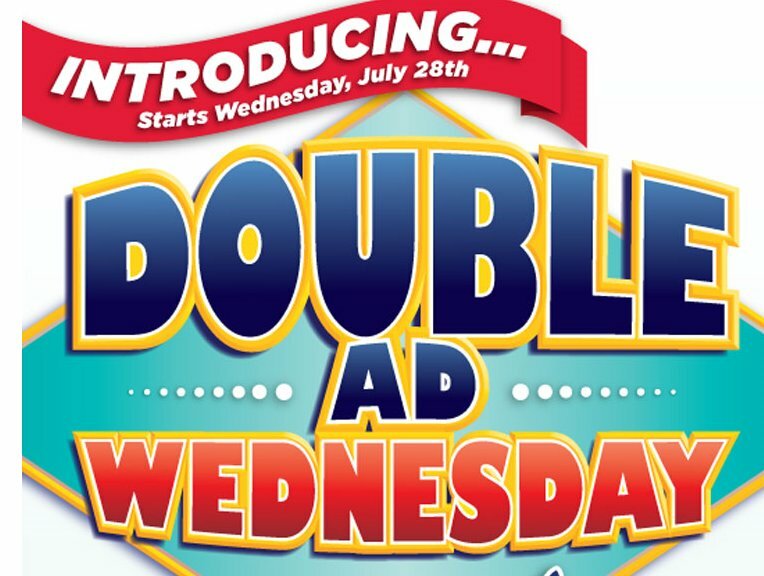 Introducing Starts Wednesday, July 28th – Double Ad Wednesday Limited Time only only at Shoppers. Once a week. Twice the savings. Now every Wednesday you can shop the first day of this week’s circular as well as the final day of last week’s circular all on the same day! * Includes all ad items. Offer good for a limited time only. That’s up to 100% more specials and TWICE the SAVINGS – all in one shopping trip! FREE 2 lbs Dole Bananas Instantly when you buy 2 1lb Dole Strawberries – 2 for $3! What a great deal!